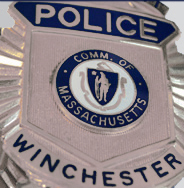 In an effort to assist families with “at risk” members, including special needs, autism, dementia etc., the Winchester Police Department offers a Vulnerable Residents program. If you feel that a member of your family is at risk to wander, we strongly recommend you participate in the program. To do so, fill out the Vulnerable Residents form below and attach a current photo of your family member. By doing so, you will assist this department in locating your family member if the need arises. You will also be providing us with information that could help us understand how to communicate with the at-risk individual and how to contact family members if an at-risk member is found. The information you provide also enables us to pass on important medical information to medical personal if needed.